MHA will soon start controlling registration services of Bangladeshi nationals. Is it a good idea? Bengal Chief Minister Mamata Banerjee has been hitting out at Modi sarkaar for stepping onto the toes of states for some time now. The relation between the two governments now look set to be worse after the Union home ministry's (MHA) recent move to take over visa services for Bangladeshi nationals. 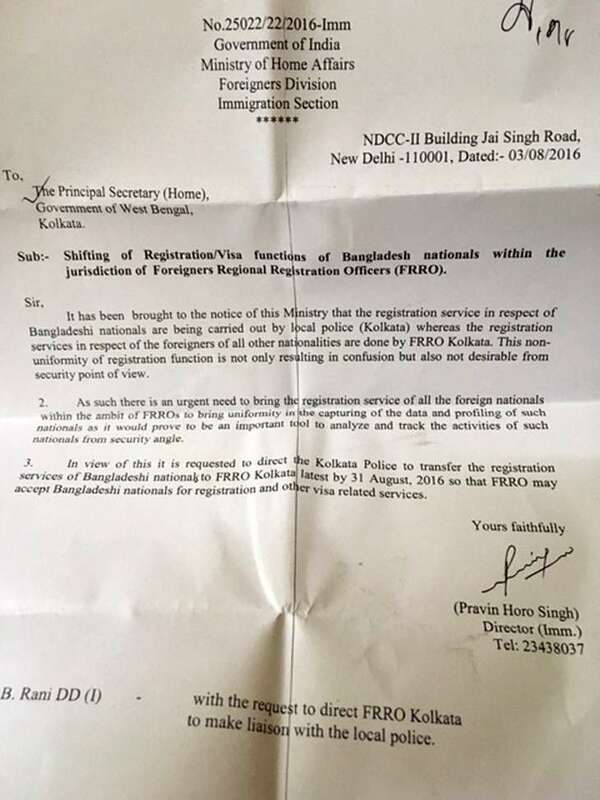 That was the job of the state's Foreigners Registration Office (FRO) and Kolkata Police, both under the Bengal home department. But according to an 8 August MHA order, available with Catch, the Foreigners Regional Registration Officers (FRRO) under the ministry's Bureau of Immigration will take control to avoid confusion and track the activities of Bangladeshi citizens from 1 September. This move is not being received well in the state. Top bureaucrats have said that they have written a letter to MHA saying that the move it would make it more difficult for them to execute cases against Bangladeshi nationals if the entire registration and visa process is looked after by FRRO. According to state government officials, around 5,000 Bangladeshis enter West Bengal every month - most come for medical treatment or on student visas. Of them, a large majority request for an extension on their visas. A senior bureaucrat with the state government says, "Law and order is a state subject and it is direct interference of the Centre. If the MHA takes over, then although the work of the state government will be minimised, it will make it difficult for both the Kolkata Police and the MHA to exchange data. Since Kolkata Police falls directly under the state home department, they will report to state home department without giving any information to MHA and it will be difficult for MHA to carry its work." 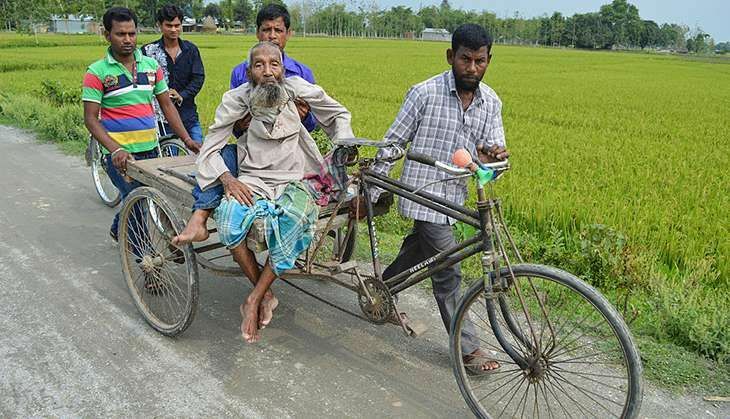 According to the existing visa system, Bangladeshi nationals who came to India for medical treatment or for their studies have had to report to the FRO to get an extension on their visa. It is then up to the Commissioner of Police of Kolkata to take a call on whether such visas would be extended. From now, on this will be controlled by FRRO under the MHA. The MHA has clearly said why they are forcing such a change to occur. It was brought to their notice that apart from registration and visa service of Bangladeshi nationals, the registration and visa service of foreigners of all other nationalities are done by FRRO. According to them, this non-uniformity of registration not only results in confusion, but also is not desirable from a security point of view. As a result, they want to take over all operations concerned with Bangladeshi nationals to bring uniformity for data capturing and profiling them. The Khagragarh blast in Burdwan district in 2014 had once again highlighted the porous border of Bengal with Bangladesh. The Border Security Force (BSF) often described the border as porous, and illegal immigration from Bangladesh to Bengal has long been a concern for the union government. However, state government officials remain firm on their decision that law and order is a state subject, which is why it is constitutionally not correct on the part of the Centre to interfere. If the state wants to shift any functions of the state government, a consensus is needed from the state government through a dialogue process. But so far, the Centre has taken no such steps. State home secretary Malay De is going to Delhi next month to speak with the issue with the MHA. Tapas Roy, deputy chief whip of Trinamool Congress said, "We won't tolerate such interference of the Centre and we will speak with the chief minister on this issue after she comes back from her trip." A senior TMC minister said, "The chief minister has already said that Bangladesh is a friendly country and both our security forces and administration of both the countries will do our best to fight terrorism." Significantly, a few days Mamata had said that Centre is harping on the federal structure of the state as they have already send officials without any official communication for the integration of state treasury which left Banerjee fuming and none of this officials were allowed to enter the state treasury as Banerjee called it a "serious infringement of federal structure". The state BJP however has said that they have already said that madrassas along the Indo-Bangladesh border has been harboring terrorists and that it's a good decision that the MHA will review the registration/visa of Bangaldeshi nationals. BJP national secretary Rahul Sinha said, "We have been speaking about the issue of illegal immigration for a long time and we have already urged the state government to strictly monitor the function of the madrasas in the state, but the state government is yet to look into the matter. It's a good decision taken by our Prime Minister Narendra Modi."